Wild flower turf – a fabulous product! As some of you might be aware, I coordinate a local cluster group of Garden Designers, the purpose of which is to keep our design ideas fresh and to share our knowledge and expertise. 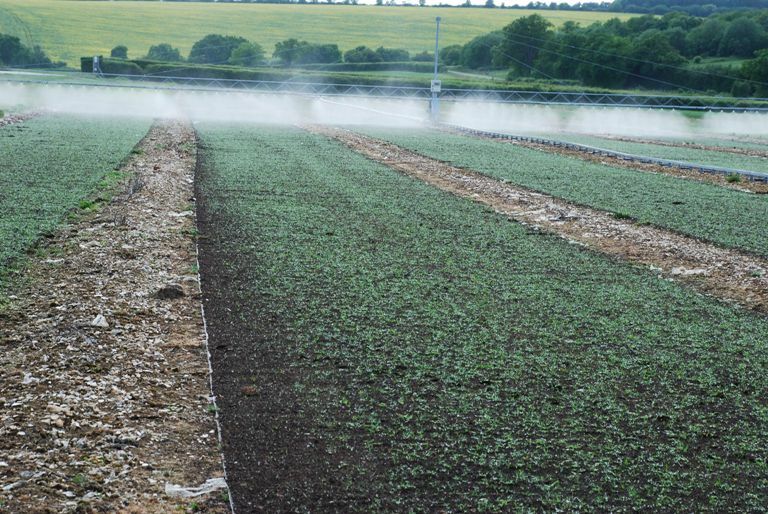 On Thursday we were very fortunate to be able to visit Wild Flower Turf in Overton, Hampshire, to see their production site and learn more about the development of their wildflower turf. When sown from seed, Wildflower meadows can be a challenge to get going, taking a few years to really establish and look how they should. This turf is a brilliant product, giving an almost instant effect and within just one year any new wildflower meadow/area will be looking as though it has always been there. 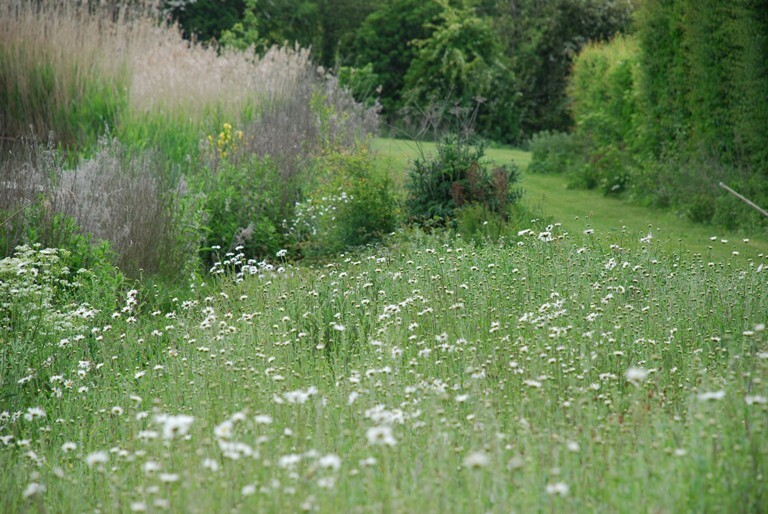 The seed mixes are native to the British Isles, as are the grasses, chosen to complement the flowers and not to compete with them, a common problem with conventional wildflower seeding. A bespoke turf can also be grown if a specific range of wild flower species is required. 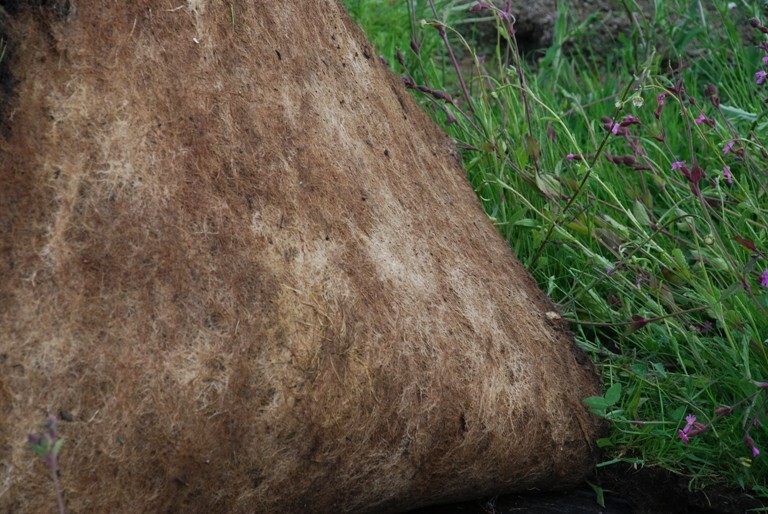 The turf is soil-less which means that the roots bind together to form a thick mat. This suppresses the weeds and allows the plants to establish quickly. Amazingly, the turf is ready in just 8-10 weeks and can be laid on any soil type at any time of the year, although of course the ideal time would be between Autumn and Spring when the weather is generally wetter. Other than initial watering, there’s very little to do to keep the turf in good shape, just cut once in autumn and remove the cuttings. 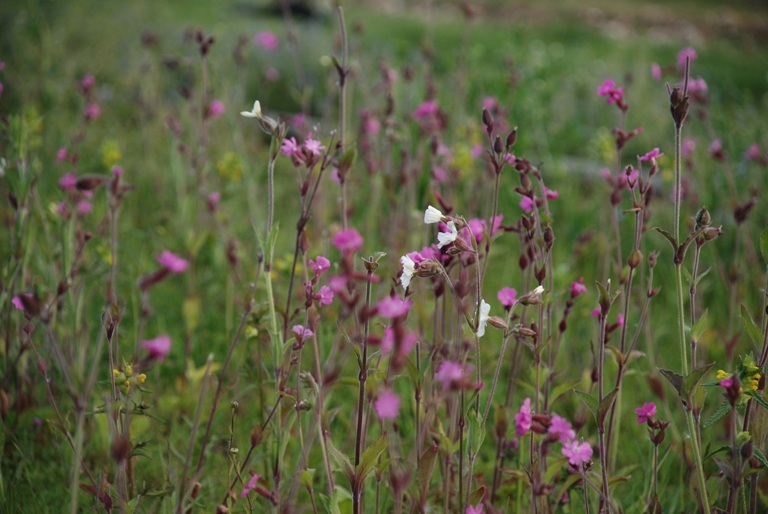 If you’re interested to learn more, have a look at the Wild Flower Turf website which has a really fab time-lapse video of the turf growing in one of their trial areas. The trial area above is around the lake and I think you’ll agree looks really natural and as if it’s always been there.